Press Release: January 25, 2019, John Siddle, ME Association (UK). Children with the devastating illness ME face the threat of being taken into care because medics refuse to accept their disease is real, parliament was today told. 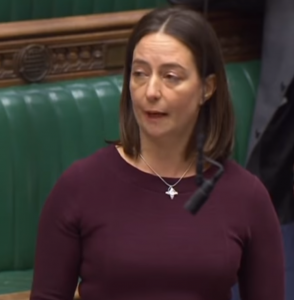 ME – myalgic encephalomyelitis – is a cruel disease affecting a quarter of a million people in the UK who are being “failed” in a “national disgrace”. While classed as a neurological disease, the stigmatised condition is still considered wrongly by some health professionals to be psychological. It means that often patients struggle to get the support they so desperately need. ME manifests as activity-induced muscle fatigue, post-exertional malaise, problems with cognitive function, widespread muscle pain, unrefreshing sleep and ongoing flu-like symptoms. M.E. Factsheet – What you need to know about M.E. M.E. Research Summary – A round-up of what the research is telling us about M.E. In the debate today – the first in 20 years on ME – the House of Commons was told how one in five children with the disease are being threatened with the prospect of being forced into care. MP Carol Monaghan, who brought today’s motion, led calls for more funding for research and better medical training to help support patients. She said: “There is currently no cure for ME and many with the condition experience inadequate care and support. “But there are an estimated quarter of a million people in the UK suffering from ME, and currently we are letting these people down. “The cause of the disease is unknown, but many patients report that it developed after a viral infection such as flu or glandular fever. Several quality of life research studies have shown that the level of disability in ME can be just as great than many other serious medical conditions, including cancer and multiple sclerosis. While some people with ME do improve over the course of time, it is only a small minority that return to full normal health. And the disease is indiscriminate, affecting both sexes, all ages and all races. “Some with severe ME spend their days in darkened rooms, unable even to watch TV or listen to music. Even touch is intolerable. Many are tube fed. For these individuals, ME is a life sentence, but a life spent existing, not living. “This condition is largely unknown because those affected are often hidden away. I commend the ME community for lobbying so successfully to ensure so many members are here today. The debate was told how one in five families caring for a child with the devastating disease ME have been referred for child protection proceedings. The Commons told how an eight-year-old – Girl B – was almost taken from her family by social services after medics said her condition was psychological. Mrs Monaghan continued: “B was in constant pain, unable to sit upright, with her head hanging down the side, crying in distress. Ms Monaghan, who also called for the suspension of controversial Graded Exercise Therapy and Cognitive Behaviour Therapy as recommended treatment programmes, added: “A firm diagnosis of ME protects the child from these proceedings but unfortunately paediatricians are often reluctant to give this – simply because they do not understand the condition – which leaves the child open to social service intervention. 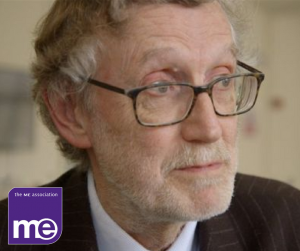 Mr Brine said nobody with ME should ever “be fobbed off by the medical profession.” He said that before the debate he had spoken with the chair of the Royal College of GPs – Prof. Helen Stokes-Lampard – and will organise a future discussion on improving medical education and awareness. “The NICE guidance is clear on a number of important points. There is no one form of treatment to suit every patient; that is self-evident. The needs and preferences of patients should absolutely be taken into account. Doctors should explain that no single strategy will be successful for all patients, which is a hallmark of this condition. On the subject of research funding for ME, Mr Brine said that it wasn’t the Governments responsibility to allocate specific funding, and that the problem lay with the quality of research applications. Despite being recognised by the World Health Organisation as a neurological disease, and a report from the Chief Medical Officer of Health calling for more research and a network of hospital-based clinics, many doctors still don’t know how to diagnose and manage ME/CFS and lack or research means that we still don’t have any effective forms of treatment. Dr Charles Shepherd, the charity’s medical adviser, added: “There are major problems with both undergraduate and postgraduate medical education on ME. “Undergraduate education on ME is inadequate, or even non-existent, in many medical schools. So, doctors are qualifying knowing little or nothing about the diagnosis or management of ME and without ever seeing a patient with ME. This is particularly so in medical schools where there is nobody carrying out research, or a clinician seeing patients with ME. “Continuing lack of medical education means that many doctors in primary care/general practice are then unsure about how to make a diagnosis (leading to a late or misdiagnosis) and/or being unable to provide guidance on even basic aspects of management. “Overall, I thought it was an excellent debate and although the House of Commons chamber looked rather empty at times, it is quite an achievement to get around 40 MPs to attend a backbench chamber debate for 90 minutes at the end of Thursday afternoon – when most are heading home to their constituencies. “Carol Monaghan made an excellent opening speech which was followed by shorter speeches from over 20 MPs. “MPs from all political parties made very similar points covering all the key concerns that have been put to them by the Forward ME Group in our briefing document – lack of medical education, need for biomedical research, NICE recommendations on CBT and GET, the PACE trial etc. “Most MPs also referred to personal issues that had been raised by their constituents – some of which very clearly illustrated the need for an urgent change of attitude by some sections of the medical profession. “A number of MPs made very thoughtful contributions (e.g. Nicky Morgan, Ben Lake, David Drew, Dr Phillipa Whitford) and others spoke with real passion (e.g. Stephen Pound). 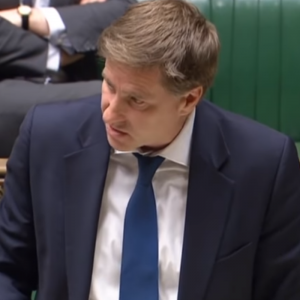 “And while ministerial responses tend to be disappointing when it comes to actual action, I think that Steve Brine, Minister for Health, had clearly got the message about education, lack of biomedical research, bad management etc and that he will be talking to his advisers and colleagues about the points that were being made. “One specific ministerial action, which is clearly going to happen, is a meeting with the President of the Royal College of General Practitioners to discuss GP education – which can obviously follow up the work that the Forward Group have been doing with the RCGP. “So, a big thank you to Carol for securing this debate; thanks to all the MPs who turned up and spoke, and thanks to everyone who wrote to their MP to ask them to attend. A number of other MPs – Justine Greening, Con, Putney, Julian Lewis, Con, New Forest East, Paula Sherrif, Lab, Dewsbury – made interventions. NB: There were other MPs in the chamber for all or part of the debate but did not take part. See Hansard Volume 653.